Check out five bangers from the stars of Cut & Dry: Mike Patterson, Angel Saucedo, Tom Rohrer, and Chris Colbourn (last two tricks). Filmed by James Buchmann and Frankie Martinez. 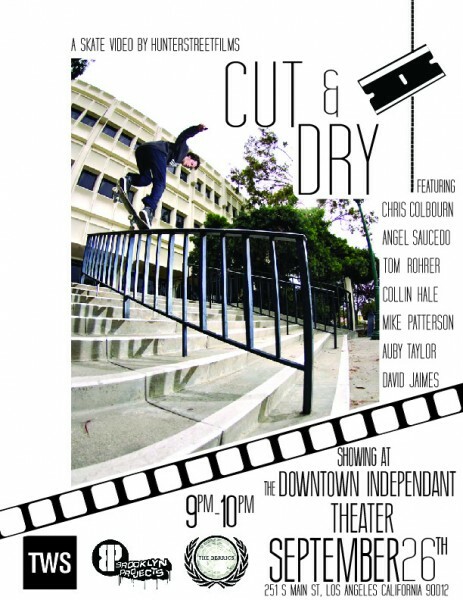 Cut & Dry premiering this Thursday in LA. Don’t miss it!